We’re thrilled to be one of the twelve leading big data startups selected to present at Strata + Hadoop World 2015 at 6:30pm on Tuesday, September 29th at the Javits Center in New York City. Diego and Kenny will be showing off our intelligent algorithms to a packed room of developers, entrepreneurs, and researchers as part of Startup Showcase. Winners will be announced during Wednesday’s keynote – fingers crossed! Are you in New York? 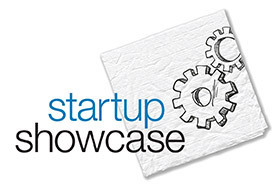 Startup Showcase is free to attend, and open to the public as part of NYC DataWeek. Register here for your free ticket, and be sure to come say hi to Diego and Kenny, who will be handing out Algorithmia credits. Or reach out to us @Algorithmia.